But like many great groups from the old school, one day the group just suddenly broke up and disappeared from the public eye, with no real explanation. 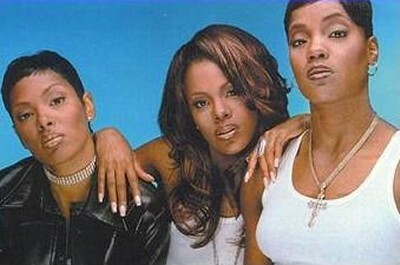 It happened in 2000, two years after their second album Kima, Kesha & Pam came out. Even though this album wasn’t as big as their platinum debut, it still went gold and was a solid effort, producing popular singles such as Trippin’ and Sitting Home. 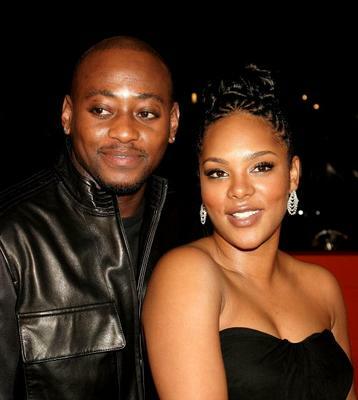 I’ve always wondered why they broke up, and although I would see pictures of Keisha on the blogs from time to time (due to her marriage to actor Omar Epps- the couple recently had their third child), and Kima out and about supporting her sister, former Murder Inc rapper Vita, I always wanted to know what became of Pam, who seemed to disappear without a trace. The majority of Total fans would agree that Pam’s was the signature voice from Total, and her onstage swagger and chemistry (with Kesha in particular) bought a lot to the group as a whole. Recently when it was announced that ‘Pamela Long’ was performing as a support act for Silk and Kut Klose’s recent Valentines show at the indigo2 in London, UK, it took me a minute to realise who that actually was, until I saw the name Total attached. I then started doing some research and learned that Pam was on the comeback trial with a new album, Undeniable, and single, Dare To Dream, to be released later this year (Listen to track below). Two weeks ago when she was in the UK for the Indigo2 show, I was fortunate enough to see Pam performing live, and she definitely hasn’t lost her signature swagger (See below video). I was also fortunate enough to be granted an interview with her (as she looks now above). Although my time was very limited and I was told not to veer too far away from her current solo career, I was able to gain an insight into her thoughts on her former group, her ex-label boss (the man previously known as Puff Daddy), what she has been up to in the past 11 years and where she is now in her career. From the video, it is evident that Pam has been dealing with some personal issues over the years, and has found strength in God, which is a good thing. I would have liked to have spoken more to her about that and to talk more candidly on the things she was dealing with during Total’s break-up. Off camera, she said that she is not in a relationship but looking to find someone special to settled down and have kids with. She also declined to comment on the specifics of whether Keisha and Kima were planning any solo ventures although, as she says in the video, a Total reunion is not completley beyond the realms of possiblity in the future, as the ladies remain cool. BELL BIV DEVOE STILL GOT IT! [WORDPRESS HASHCASH] The comment’s server IP (97.74.24.9) doesn’t match the comment’s URL host IP (97.74.26.128) and so is spam.